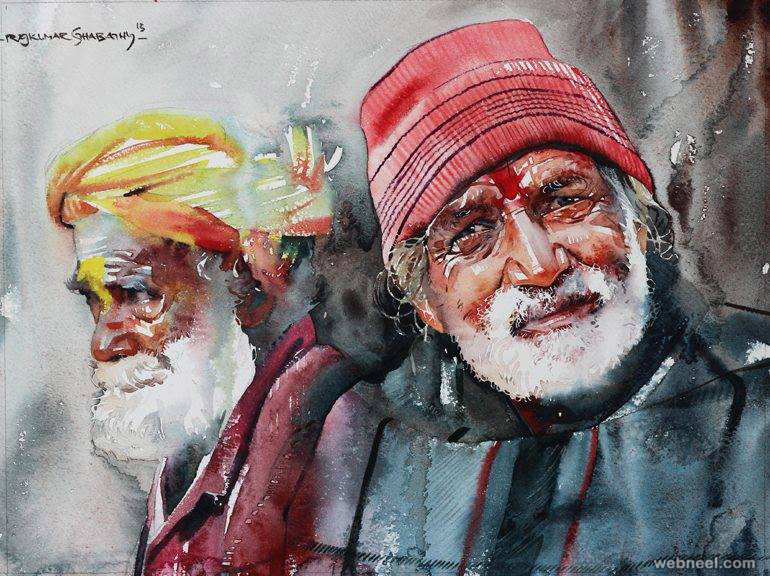 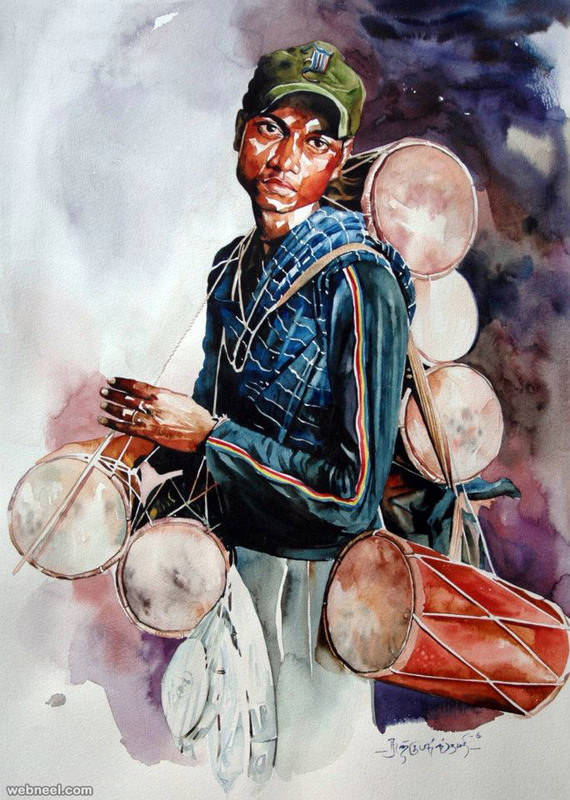 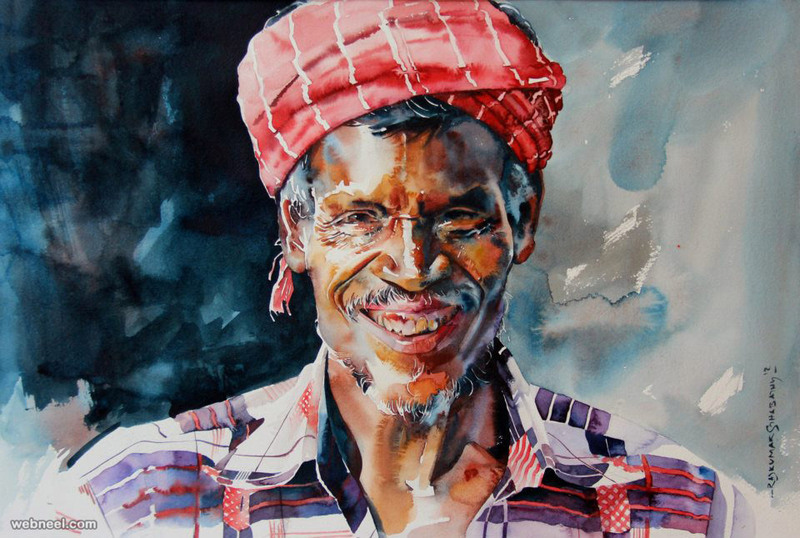 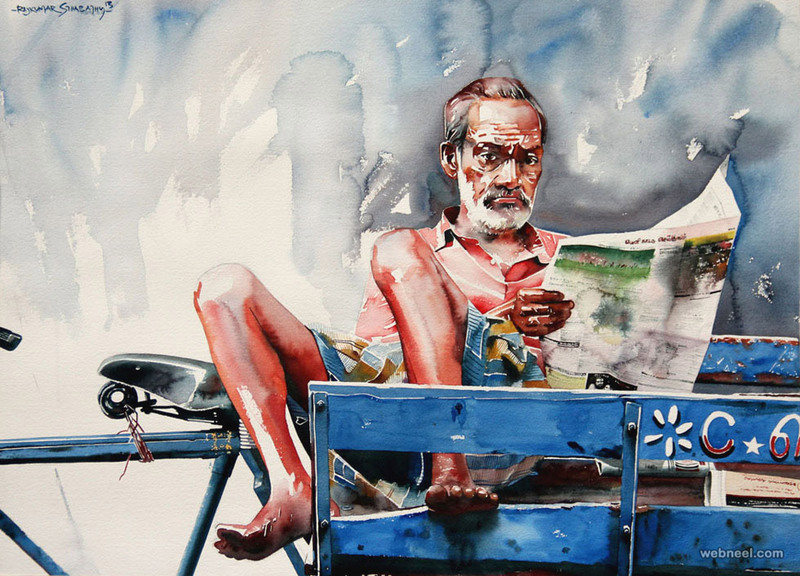 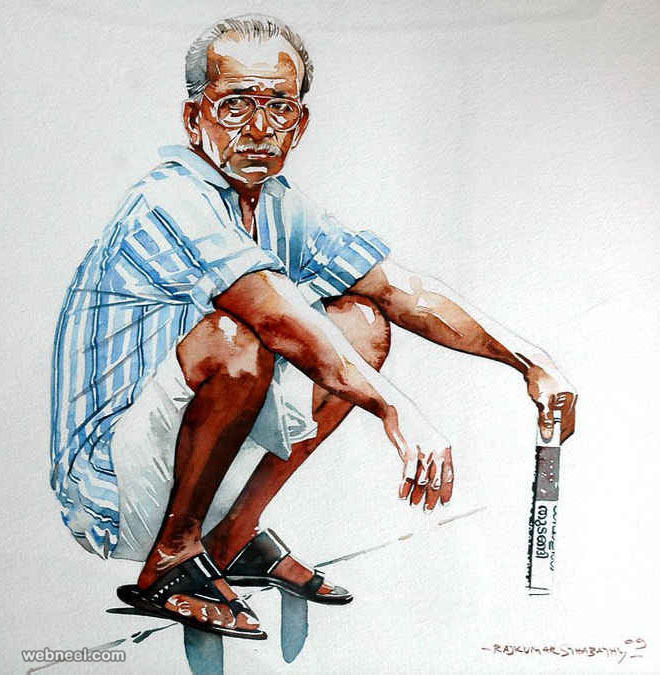 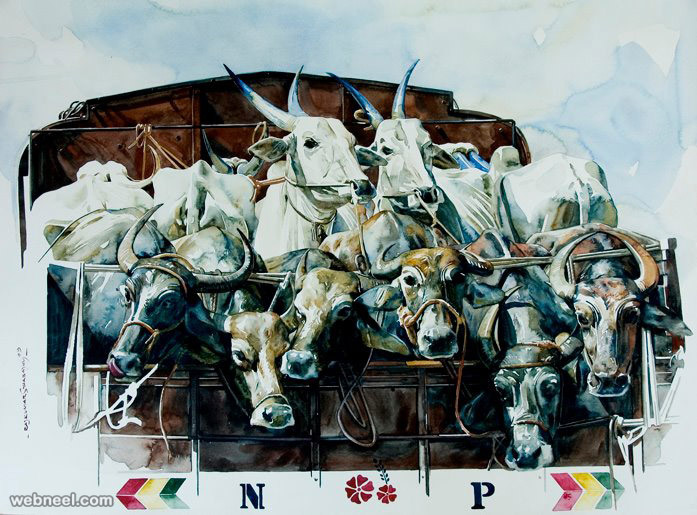 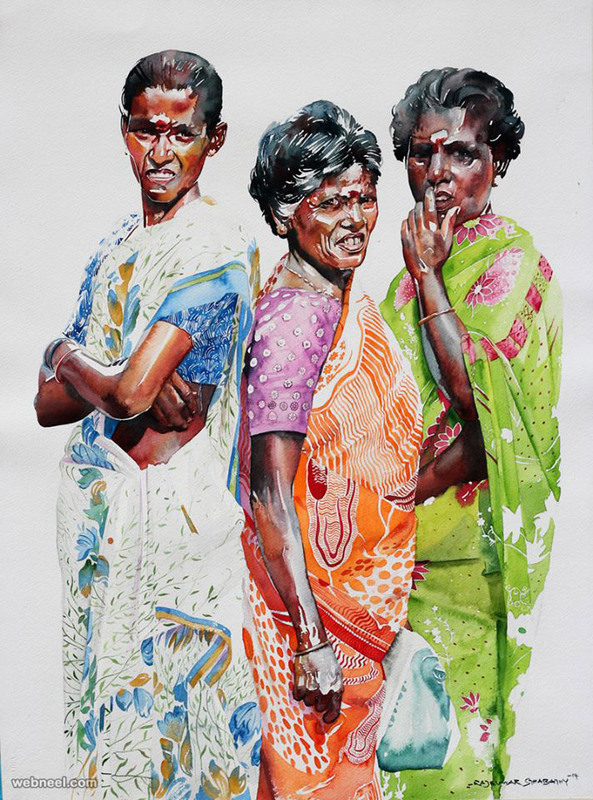 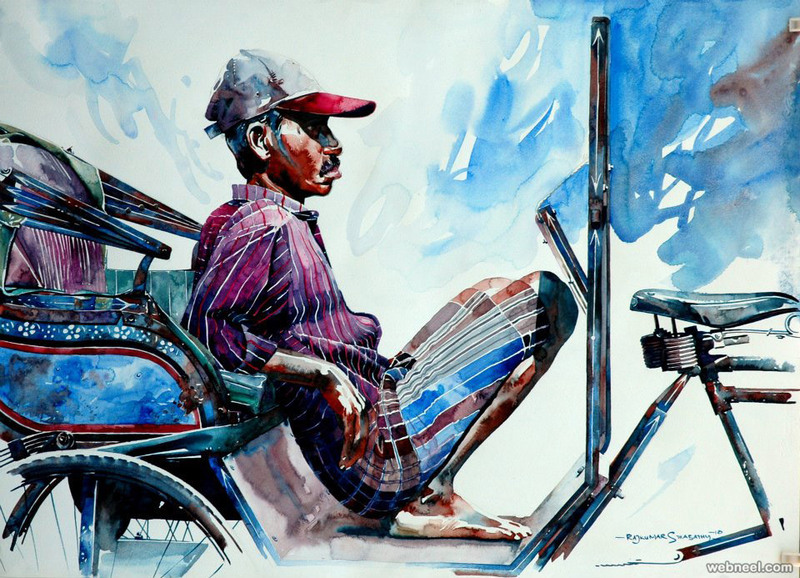 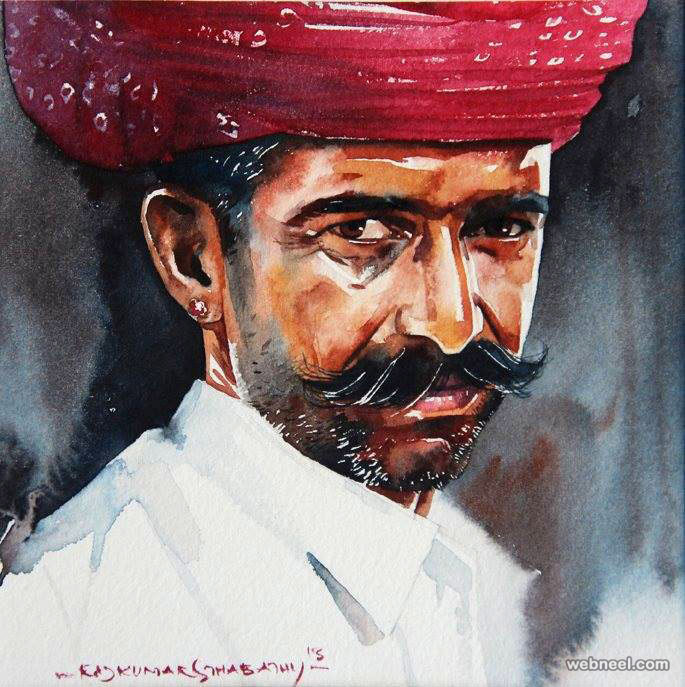 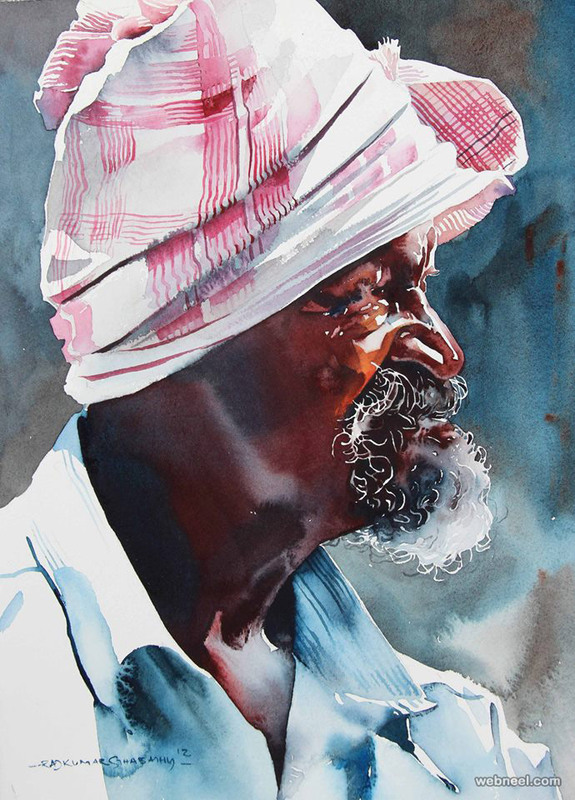 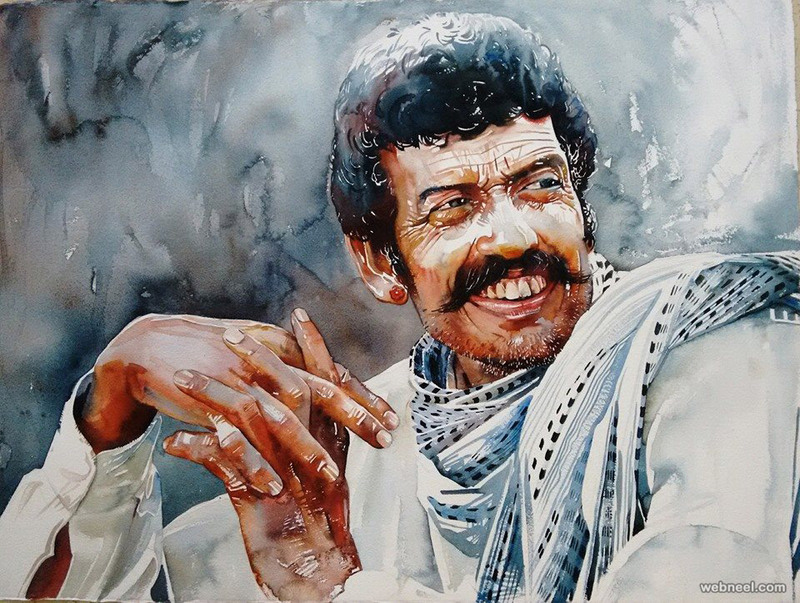 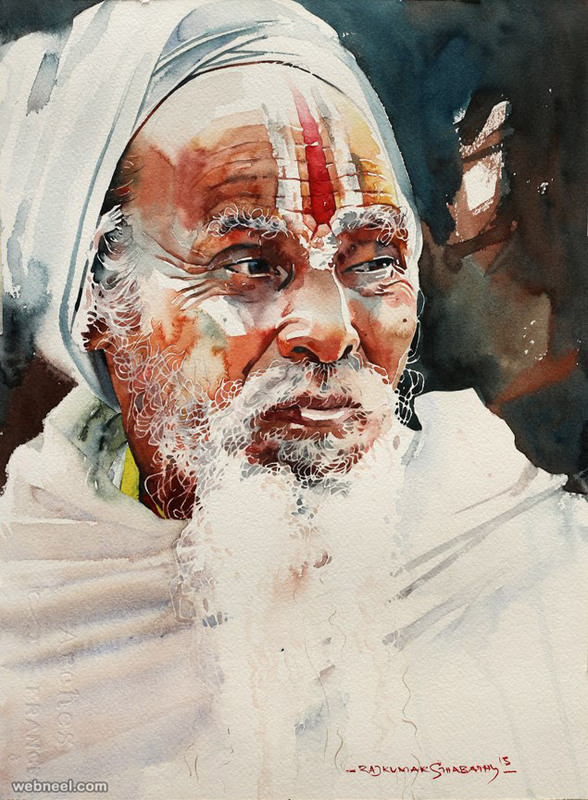 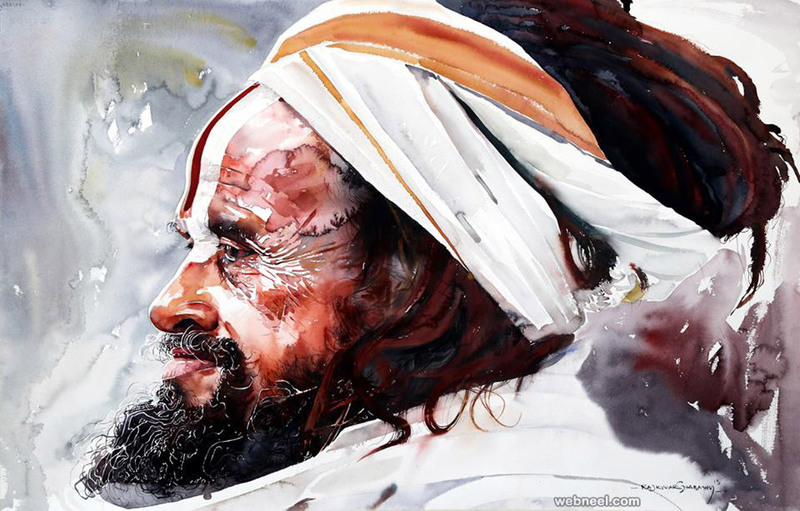 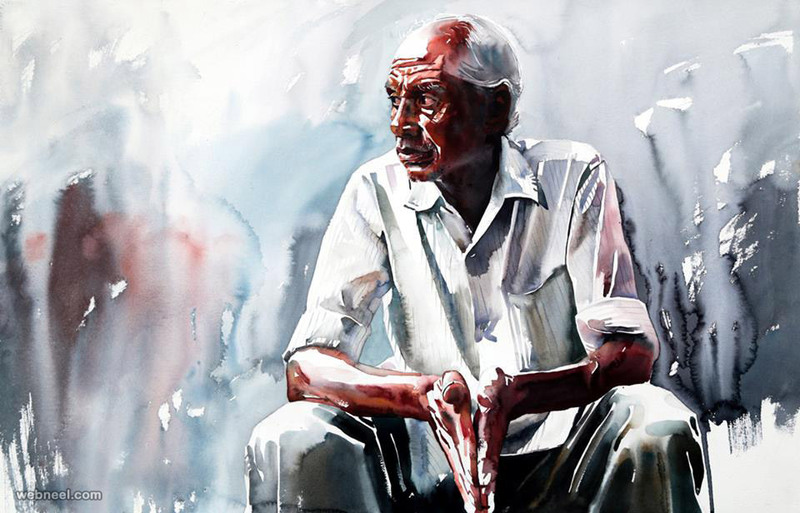 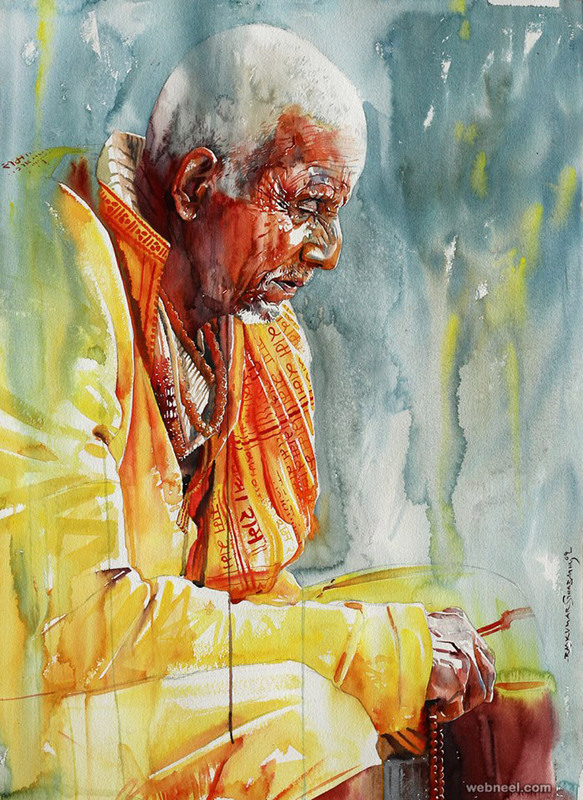 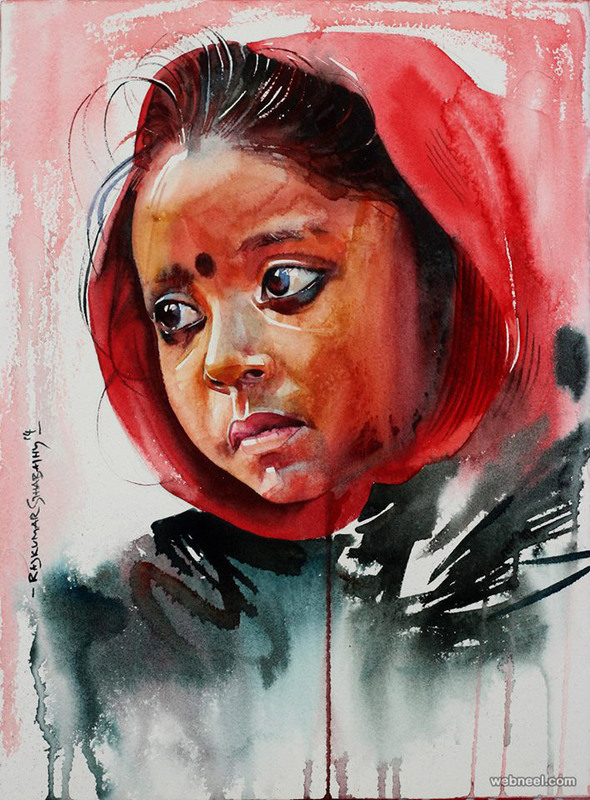 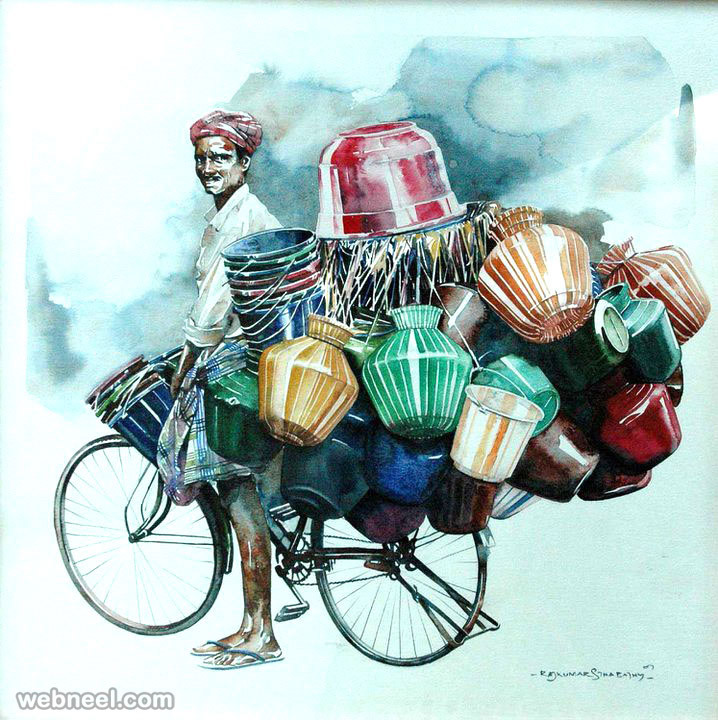 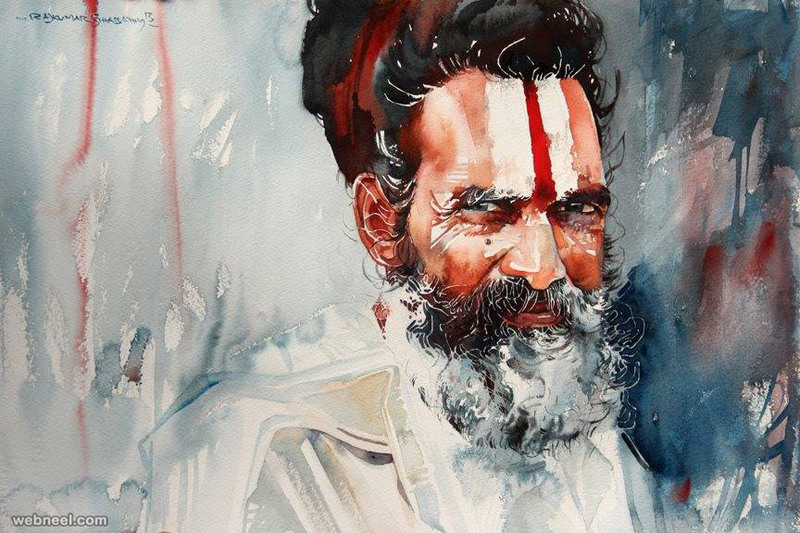 Watercolor paintings: This Indian Pondicherry artist speaks very little and located a little away from the international Auroville, he brings the essence of India through his best watercolor painting. 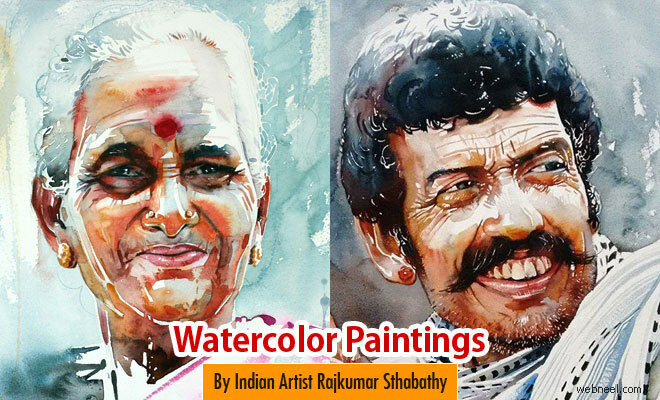 Rajkumar said in his blog,"Understanding me is impossible except when I spontaneous paint as I flow like water…maybe called as “The Water Color”!! 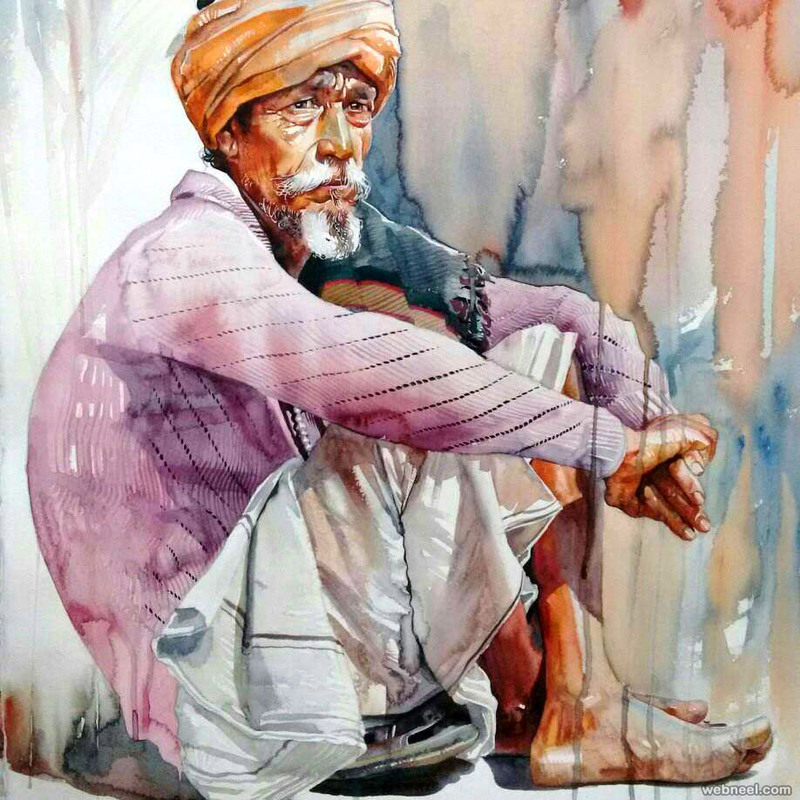 !I lose coherence and harmony if I just be an art catalyst without being affected from my contemporary events and time….Rajkumar Sthabathy. 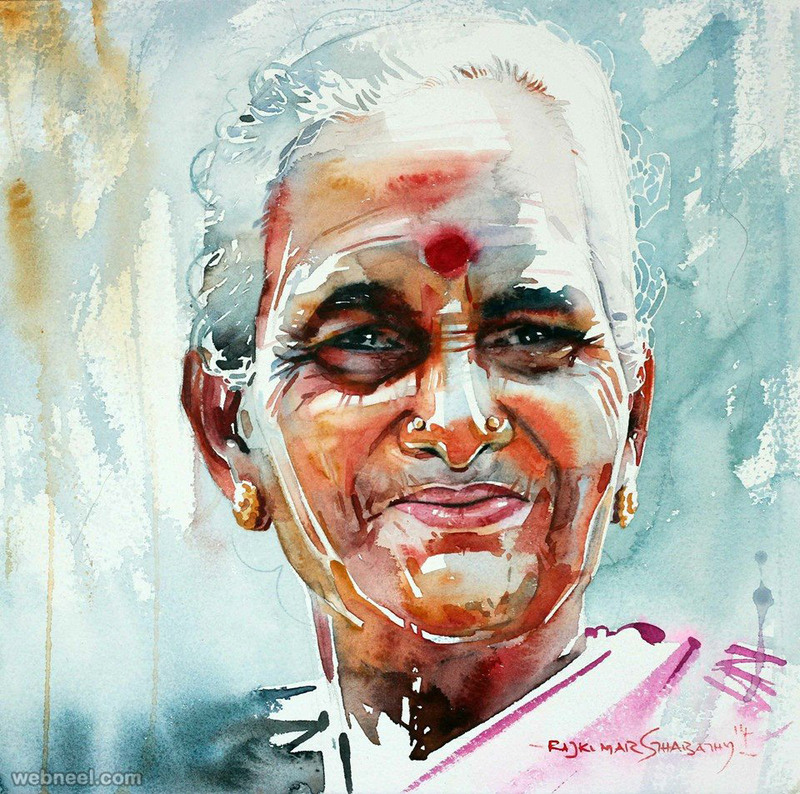 I consider that this is my Voice!...., my Language!..., and my Signature!! 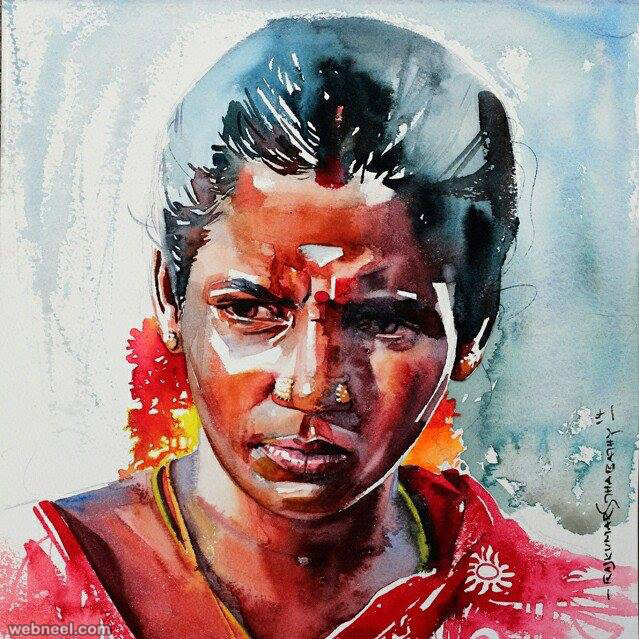 I hope you will like these Watercolor Paintings.